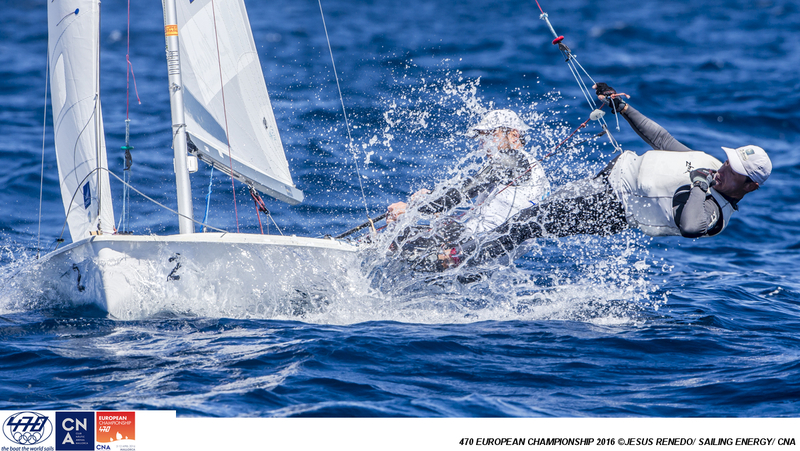 Three races for all fleets at the 2016 470 European Championships on race day 4, Sunday 10 April, sees Lara Vadlau/Jola Ogar (AUT) extend in the 470 Women and Mat Belcher/Will Ryan (AUS) edge into the lead in the 470 Men. 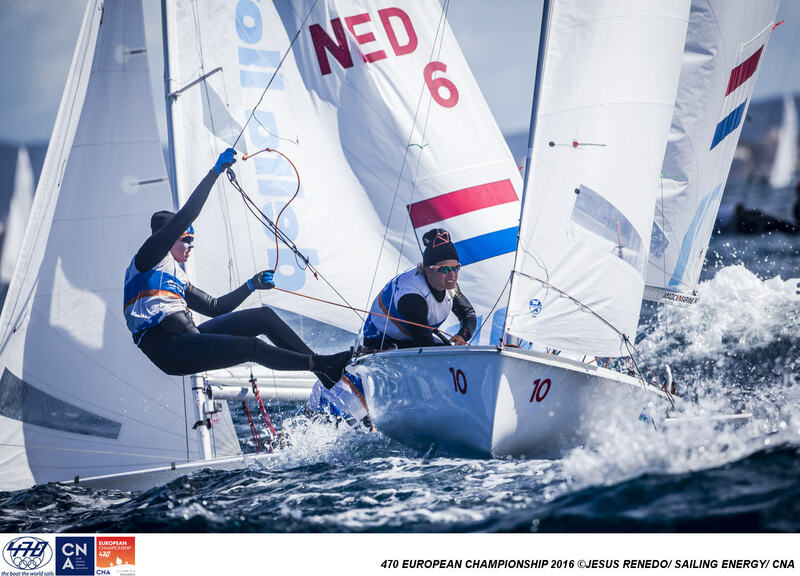 With only two days to go before the Medal Race, today’s assault on the leader board top ten intensified. The physicality of each race is relentless, as winning is all about maximizing strengths and minimizing weakness in gruelling race track battles. 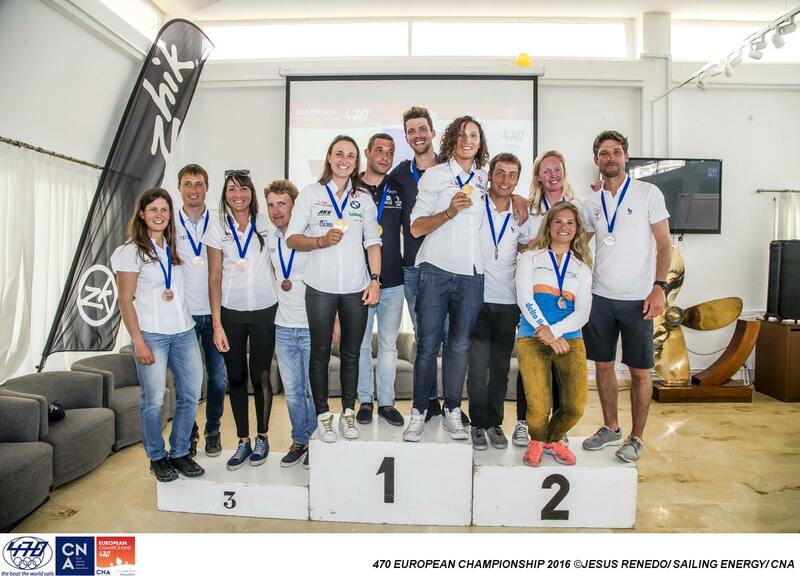 A blue sky, 10-14 knots of breeze and rolling waves gave teams a perfect race day. 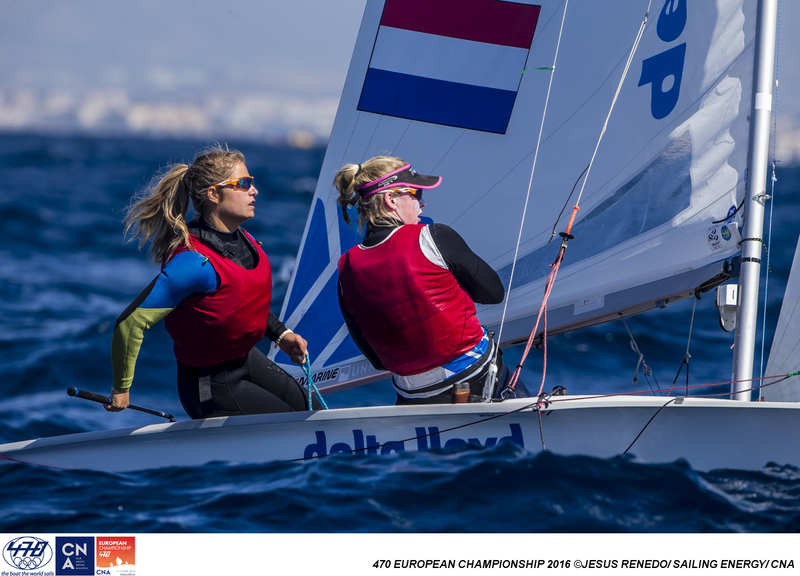 Racing on Monday 11 April will decide the top ten 470 Men and Women teams advancing to the double points Medal Race. 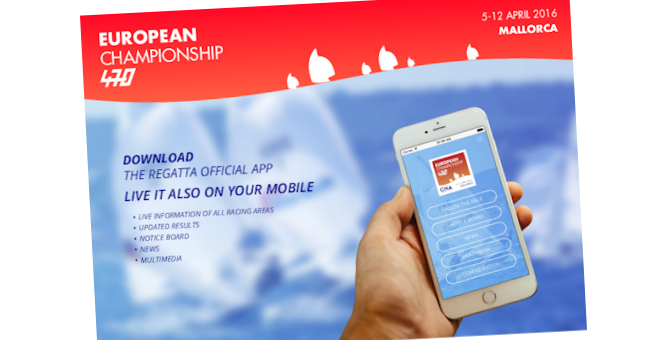 Two races scheduled for the men gold fleet on Monday starting at 1130 hours, followed by three races for the women gold. A similar race programme for the men and women silver fleets, but kicking off at 1200 hours. 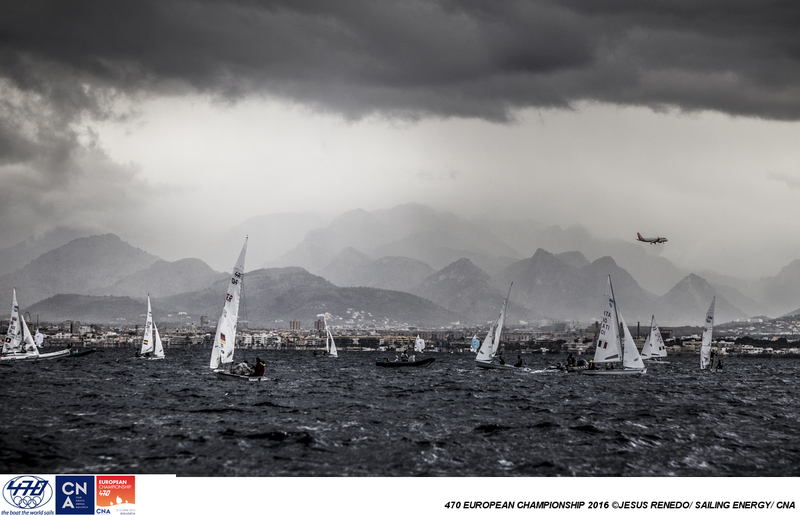 Big drama in the men’s fleet saw a complete change in the top three. 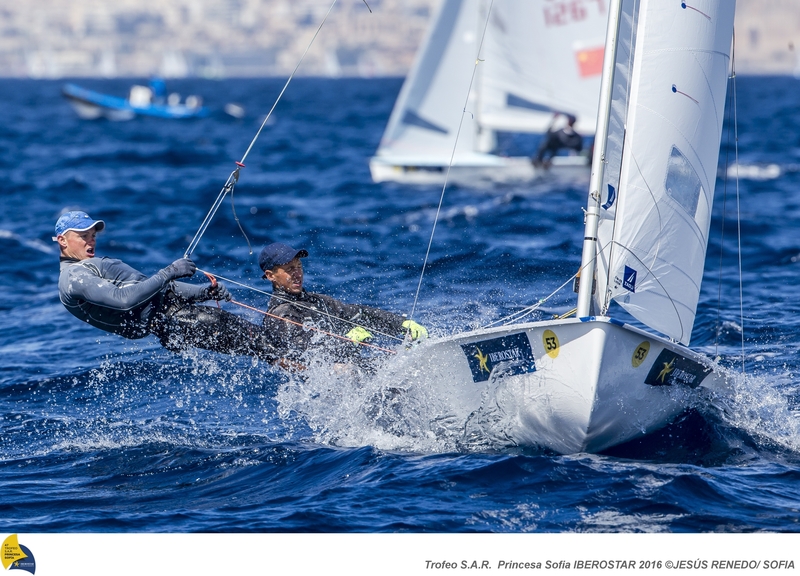 Series leaders Lucas Calabrese/Juan De La Fuente (ARG) dropped to 7th overall, with Mat Belcher/Will Ryan (AUS) climbing to the top. 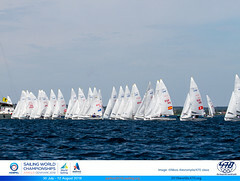 The Aussies scored a 1,3,2 to slip into the lead, ahead of Croatia’s Sime Fantela/Igor Marenic. 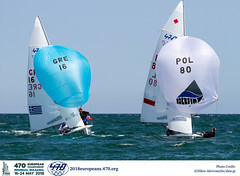 “It was a really pleasing day and good to get into a rhytmn and back to final groups," commented Belcher. 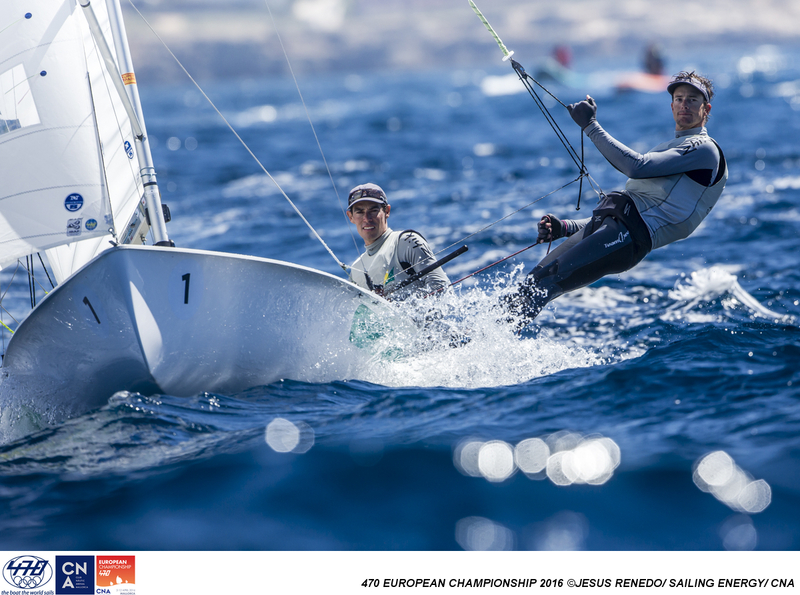 The conditions have been pretty difficult the last days and a lot of the top guys have been back a bit and its great to see some of the younger generation coming through and getting experience at the front of the fleet. I guess experience counted today, when a bit more pressure came on and its great to be moving up the leader board." 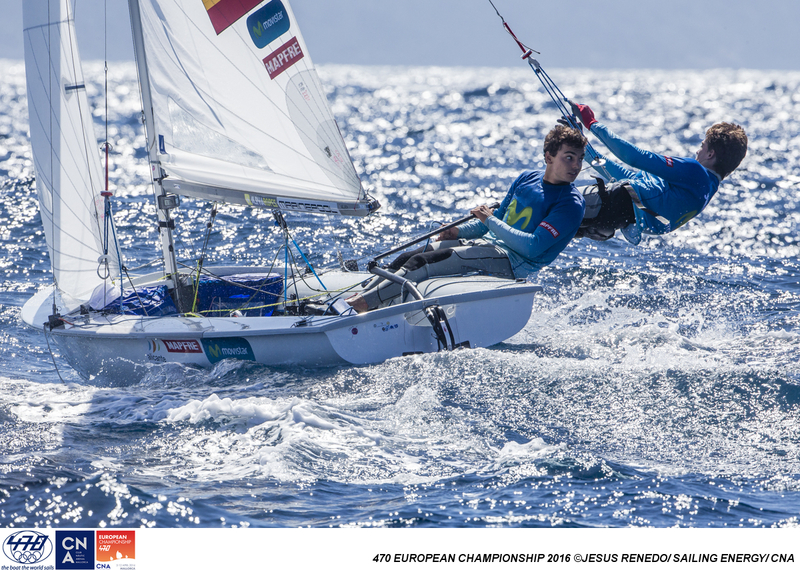 As they did in 2009, can the Croatian’s win both the Worlds and European Championship titles in the same year? A tick for the 2016 Worlds, which they wrapped up last month. 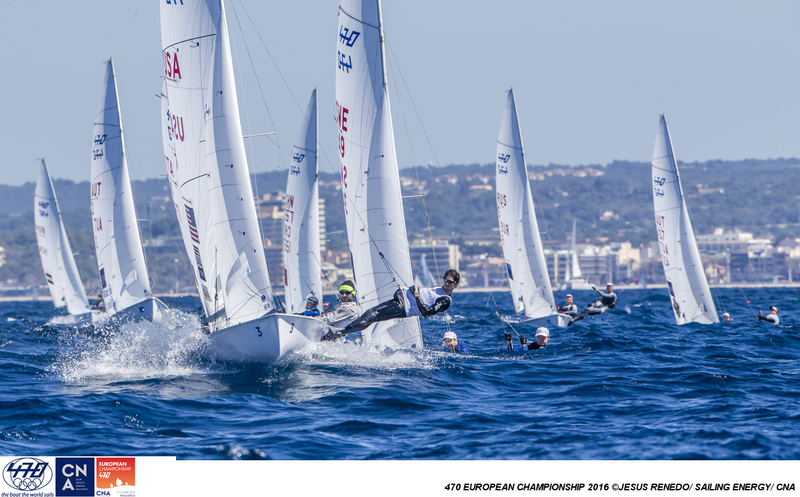 Sitting in second place, 3 points off the Australians, and with two more final series races to go plus a medal race, anything can happen. 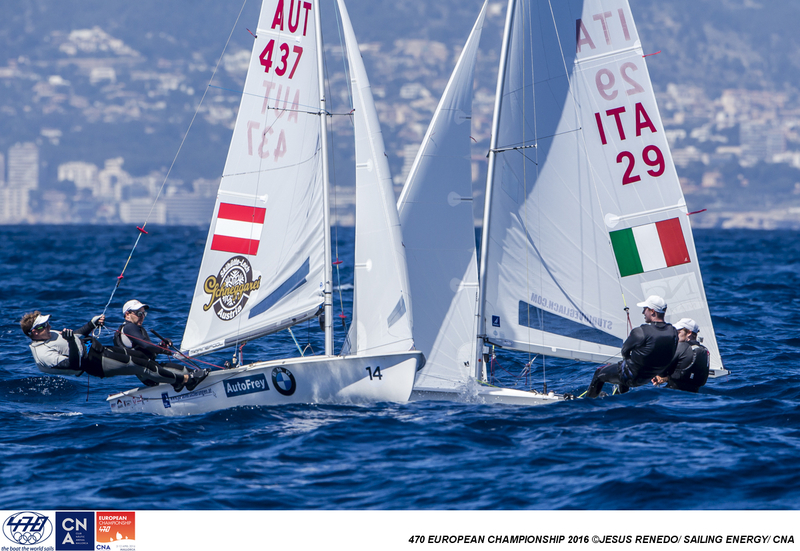 In third is the Italian partnership of Simon Sivitz Kosuta/Jas Farneti (ITA) whose speed and race tactics pushed them up. The 470 Men top ten has established some distance ahead of the chasing pack, with 21 points between the tenth and eleventh placed teams. There is a mountain to climb tomorrow for teams to break back in. 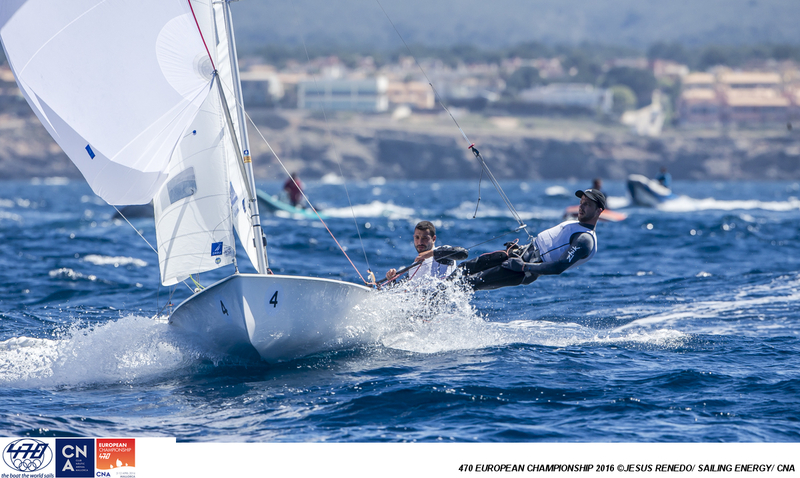 Stuart McNay/Dave Hughes (USA), defending 470 Open European Champions, won the closing race of the day and upgrade to fourth overall. 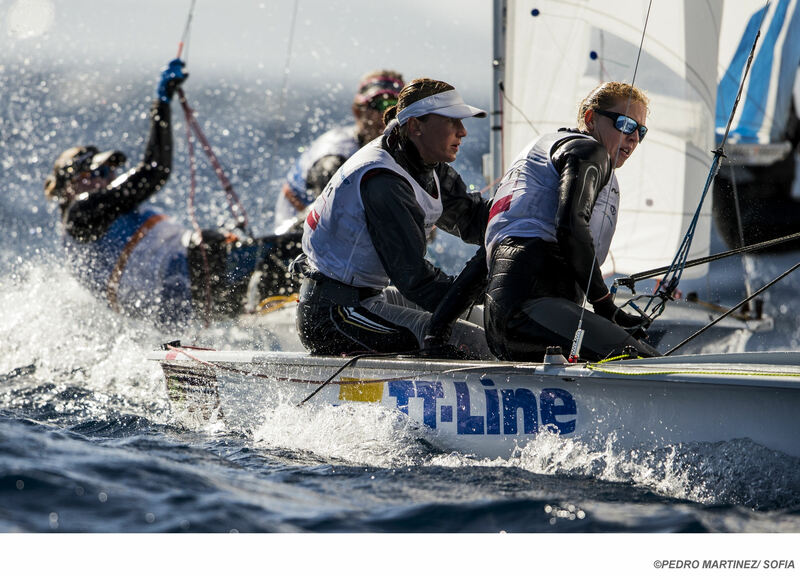 In the 470 Women, Lara Vadlau/Jola Ogar (AUT) appear unstoppable, racing well ahead of the pack today to secure significant winning margins. “It was nice, a nice day for us,” quipped Vadlau. “The first race I did a huge mistake. I went over the layline upwind, so we lost really a lost and possibility to win that race and I was pretty furious with myself. I said to myself ‘this cannot happen again’. Holding a 24 point lead over the fleet it seems inevitable they will wrap up the Championship title, and possibly even do so tomorrow. 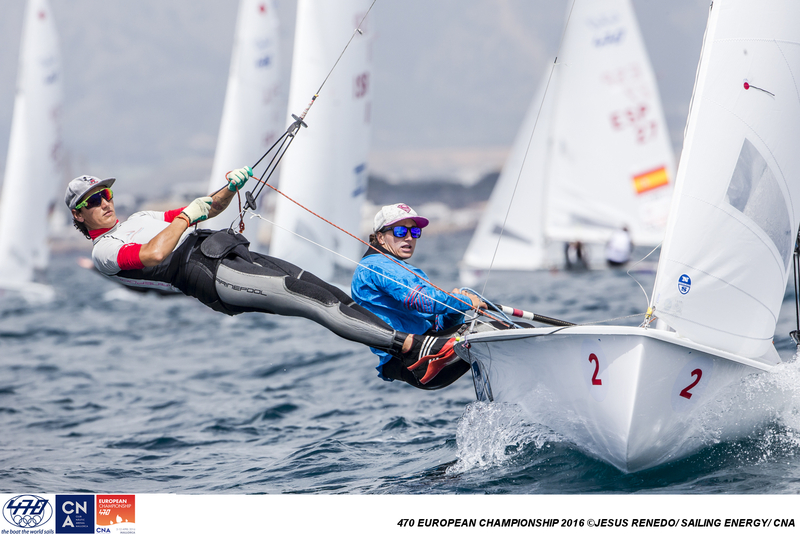 All change in the leaderboard behind the Austrians, as Afrodite Kyranakou/Anneloes Van Veen (NED) shift up into second and Japan’s Ai Kondo/Miho Yoshioka move to third. Kondo put their form down to good starts, understanding the shifts and choosing the right side of the track. 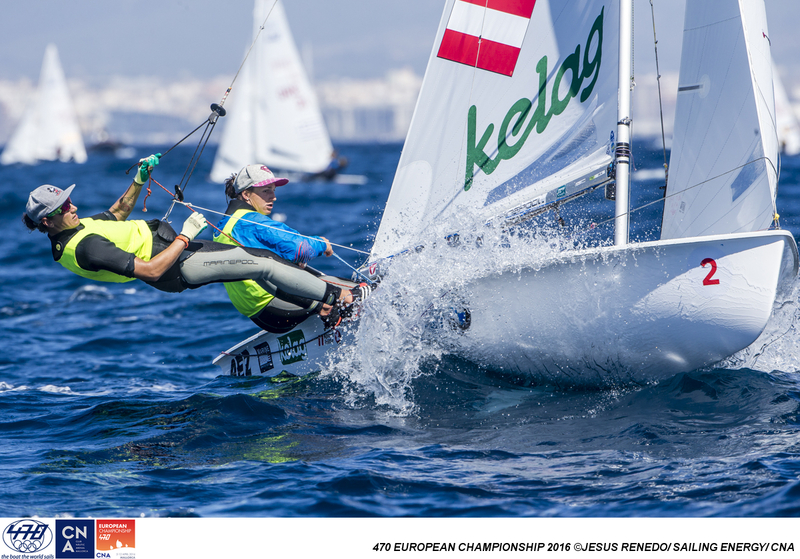 2016 470 World Champions, Camille Lecointre/Helene Defrance (FRA) claimed the only race win vacated by the Austrians, but ended the day with a disastrous 26th place out of the 29 boats in gold fleet, proving even the best get it wrong. 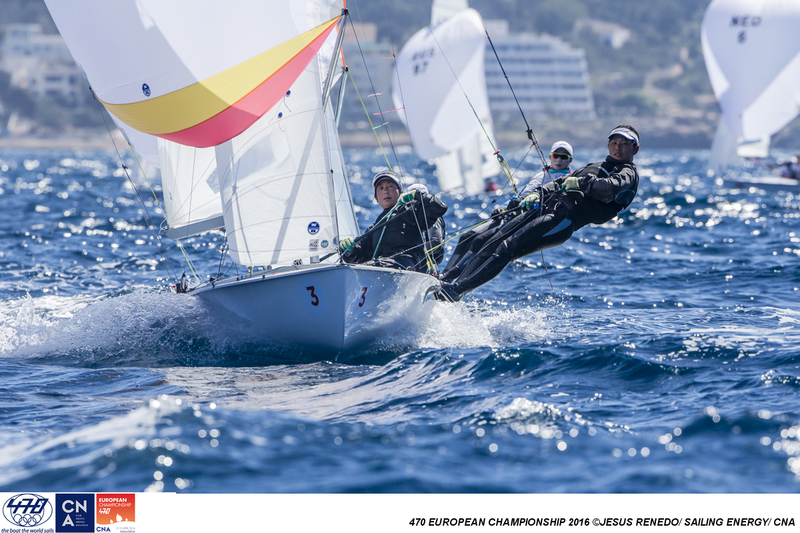 The French partnership goes into the penultimate day in fifth overall. “We just did a very bad choice by going to the right in the first lap,” explained Lecointre about their back of fleet finish. “And then it is very hard to come back when you are the last boat and we never succeeded. You can always make mistakes, but just have to do less than the rest. 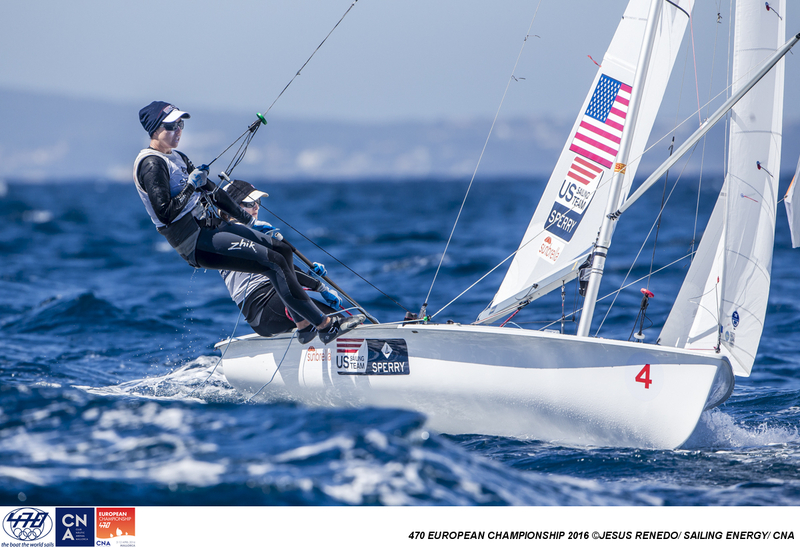 We didn’t sail so well and we also had to do penalty turns,” she continued referring to a 360 turn taken in the first race of the day followed by 720 turns in the next. Climb of the day goes to Switzerland’s Linda Fahrni/Maja Siegenthaler, who gained fourteen places to 14th overall from three top ten results. A timely and significant escalation in performance also for Australia’s Carrie Smith/Jaime Ryan as they hunt out national selection for Rio 2016 and move up to 8th overall. Jubilation for the USA’s Annie Haegar/Briana Provancha who were today confirmed for Rio 2016. 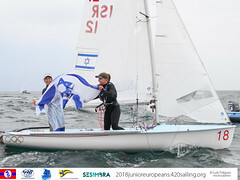 Haegar securing silver in the Laser Radial at the 2007 ISAF Youth Worlds, at the same event Provancha won gold in the 29er, proved to be the pivotal moment her Olympic destiny was set. “To say we are going to be Olympians it still hasn’t really sunk in yet,” added Provancha. “It doesn’t feel real. When you work that hard for something and it has been a long road, it is just really exciting. 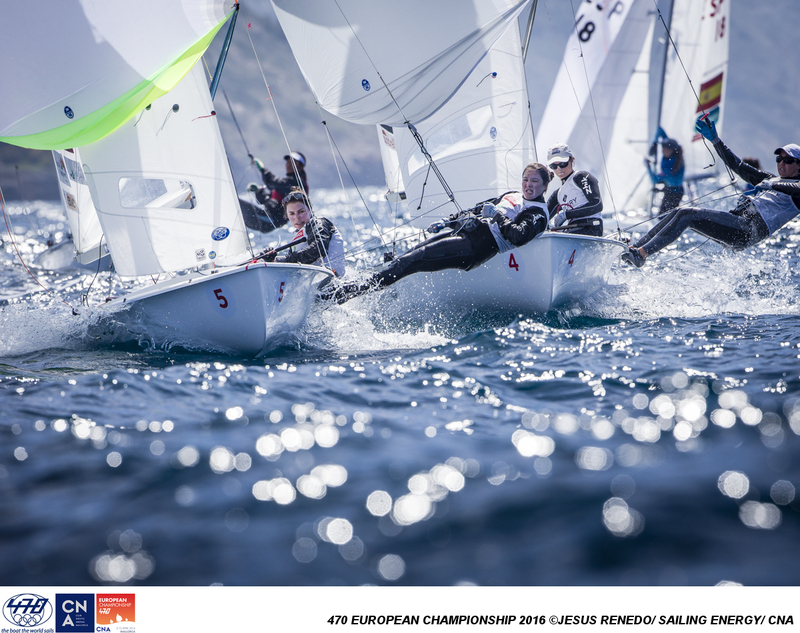 This has most probably been the most stressful two months of my life,” she added referring to the two national selection events, being the 2016 470 Worlds in January and here.